This is a fun and simple beginner project that uses the Circuit Playground to create a light activated alarm. A diary, or other object, can be placed on top of the Circuit Playground and an alarm will sound when the object is removed. Wait for a button to be pressed. Read and store the value of the light sensor. Loop forever reading the light sensor value. If value exceeds the stored value from step 3, sound the alarm. Here is the full code listing for the Arduino version. You can copy and paste it into the Arduino IDE. This code has been tested and verified to work on either a Circuit Playground Classic or Express. // Initialize Circuit Playground library. // Turn on all the NeoPixels. // Wait for button press. // Compute covered light sensor value as average of 5 readings. // Beep to indicate ARMED. // Check to see if alarm has been triggered. // Get current light sensor value. // Check light sensor value to determine if alarm should be triggered. triggered = true;  // Trigger the alarm. 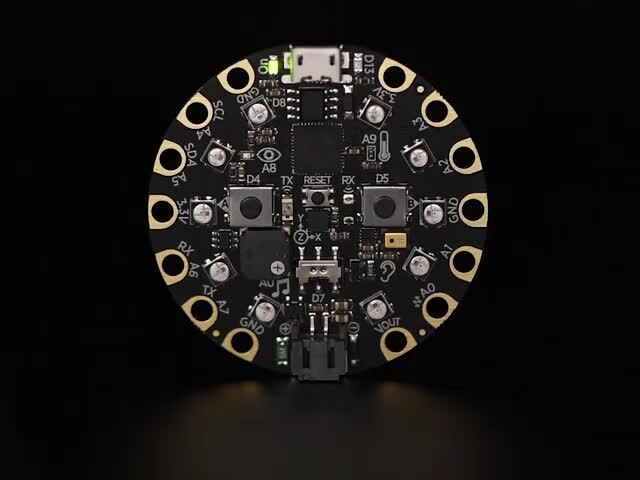 Here is the full code listing for the CircuitPython version. Name the file main.py and save it to your Circuit Playground Express. Once the sketch has been loaded on the Circuit Playground, it is ready for use. Install the batteries, plug in the power cable, and turn the switch on. You should see all of the NeoPixels come on and turn red. All the lights are on. Ready to use. Press either button to start the countdown timer. The NeoPixels will turn off one at a time. BEFORE ALL THE LIGHTS GO OUT, PLACE THE DIARY ON THE CIRCUIT PLAYGROUND. Make sure the diary covers the light sensor before the countdown ends. When the countdown ends a short BEEP will sound. If you now remove the diary from the Circuit Playground, the alarm should sound. You can press the RESET button to stop the alarm and start again. Yes, this is an easy way to defeat the alarm, but hopefully you will hear the alarm before someone figures that out. While the alarm sketch provided works, there is room for improvement and additional features. Have fun playing with the provided code to see what you can do with it. Would the alarm work at night or in a dark room? Why is computing a covered value for the light sensor necessary? What would happen if the alarm threshold were set too low or too high? Increase the time of the countdown timer. 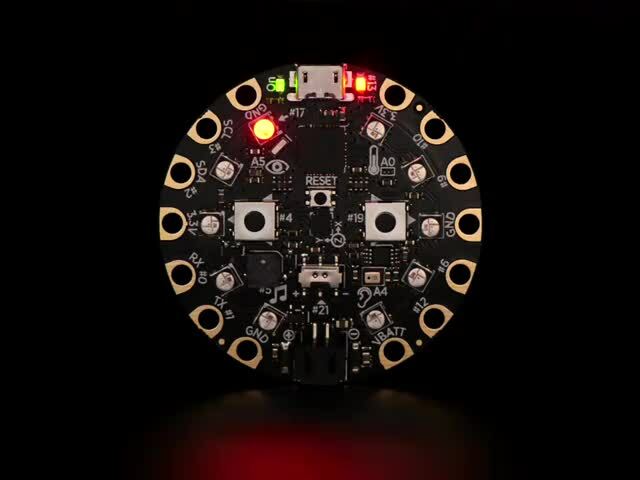 Use the NeoPixels to add some lights to the alarm. This guide was first published on Oct 11, 2016. It was last updated on Oct 11, 2016.